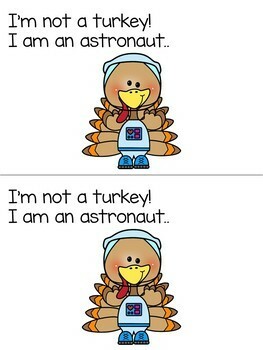 Emergent Reader: Don't Eat Turkey! Black and white version included! 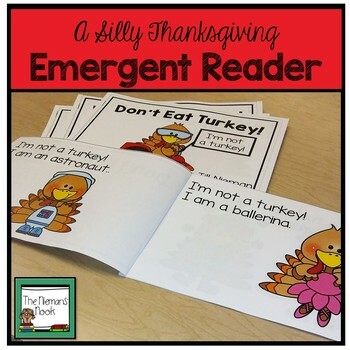 Celebrate Thanksgiving with this silly emergent reader! 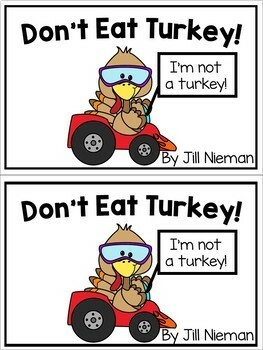 If your students create turkeys in disguise you will love adding this silly reader to your guided reading lessons or as a take home book for your students. This 10 page reader has repetitive text, important high frequency words, and has supportive and engaging illustrations from TPT clip artists! 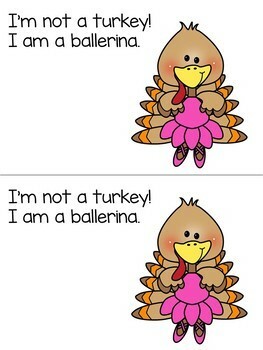 I hope your students will enjoy it as much as mine! Click here to save 25% on ALL of my emergent readers in one BUNDLE! That equals enough readers for the entire year! Click HERE to view Set #3- Animals! Click HERE to view Set #6 Spring!